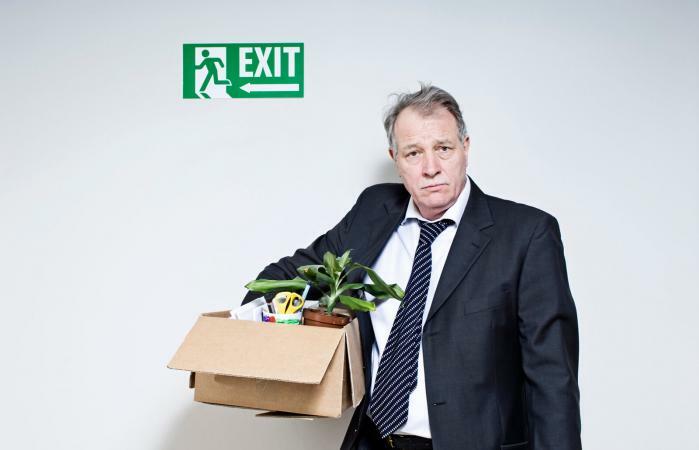 Forced retirement is when an employer mandates employees stop working by a certain age. While this practice was once the norm within the United States, it's now virtually unheard of with the exception of a few select occupations and in instances of medical necessity. No employer can force anyone to stop working altogether. Even in occupations where reaching a certain age requires retirement or separation from work (such as with most active duty Army soldiers, who must retire or separate from the Army by age 62), the employer has no grounds by which to forbid the retired employee from turning around and obtaining another job if they so desire. Exceptions exist, of course, when an employee signs a contract to not seek out employment in the same field for a predetermined period after leaving; this is common in competitive fields. Yet this does not stop the retired person's right to find a job in another field. Medical retirement happens when an illness or injury makes it impossible to continue working in the same capacity as before the illness or injury. For those who are medically retired, it's important to learn about income restrictions in place that may threaten your disability income if too much money is earned elsewhere. While most people can work after being medically retired without affecting their disability eligibility if the income becomes substantial, it may prompt a disability review. If a company needs to downsize, they may start by asking some employees to consider an early retirement. This doesn't fall within the realm of age discrimination unless the employee has other documented instances pointing toward discrimination. An early retirement may come with a severance package, pension, or even continued benefits, but this depends on what is negotiated with the company offering the early retirement. The Age Discrimination in Employment Act forbids forced retirement due to age for private companies with 20 or more employees, or for federal or local government employees. This rule does not protect specific employees in high-level, policy-making positions. It's also important to note state governments might have varying laws protecting employees from mandatory retirement. In instances where advanced age might affect a person's ability to carry out their job duties successfully, companies often have mandatory ages of retirement in place. They can do this because of the provisions in place with the Age Discrimination in Employment Act for policy makers and high-level executives. Frequently, this age starts around 65. Forced retirement doesn't always look like a tangible age reached. Instead, some companies start making sneaky efforts to push older employees into retirement without actually putting into words the company's desire for the employee to leave. Reduced responsibilities and reduced invitations to meetings and events are just a few ways in which companies send the message loud and clear it's time for the older employee to retire. Companies do this in an effort to push out older employees while avoiding age discrimination claims, but fastidious documentation of these occurrences can help employees in bringing a claim of age discrimination forward. Unless an employee falls within one of the exceptions within the Age Discrimination in Employment Act, a company cannot force an employee to retire due solely to age. Employers can force medical retirement, but only if the employee isn't protected by the Americans with Disabilities Act (ADA). Companies looking to downsize may ask employees to retire early, but this is then a choice and not necessarily forced, yet employees must keep in mind the same company can turn around and layoff employees instead. If a forced retirement is in your future and you can't prove age discrimination, get your finances in order and start looking for your next job.